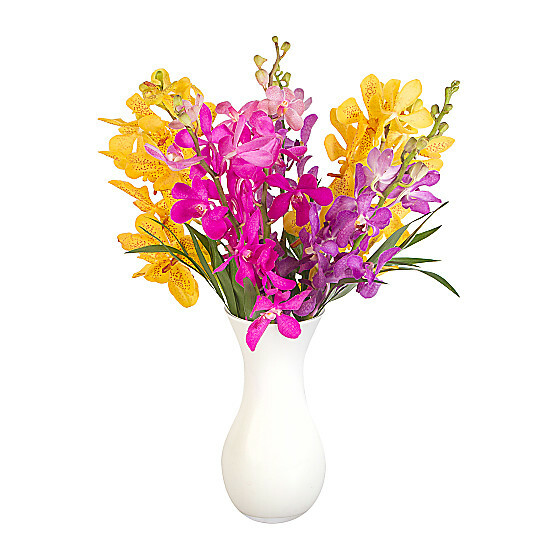 Orchids are one of nature's most beautiful flowers, the orchid exudes refined elegance. Extremely popular as a pot plant, orchids are also tremendous cut flowers, with their distinctive shapes and colours adding instant sophistication to any flower arrangement. There are over 25,000 different species orchids are the second-largest family of plants in the world and are found in every continent except for Antarctica. They are most widespread in tropical areas although some varieties have been found to grow wild in the UK.